Growing up, Ella D. Gordon felt no doubt that she was meant to be a nurse. Her dad took a job as a nursing assistant after serving in World War II, and he fell in love with the idea of nursing as a career for his daughter as well. She loved helping others, and it seemed like the perfect fit. Ms. Gordon started the journey toward her goal in 1968, when she earned a diploma from Grady Memorial Hospital and became the evenings pediatric charge nurse there. She continued her education at Georgia State University from 1969 to 1975, during which she held a variety of related positions, including pediatrics staff nurse at Grady Memorial Hospital, charge nurse at a pediatrician’s office, and staff nurse at Atlanta VA Medical Center. In 1976, Ms. Gordon obtained a Bachelor of Science in nursing from the Medical College of Georgia, propelling her to her role as a captain in the U.S. Army and a charge nurse for the Army Nurse Corps at the Eisenhower Army Medical Center in Fort Gordon, Ga. Upon returning from active duty in 1979, Ms. Gordon decided to update her knowledge of her field before taking another civilian job. She earned a master’s degree in health science from Armstrong State College in 1983, and, that year, she was granted the opportunity to create a health education department for clinics at Jackson State Hospital. Ms. Gordon considers this to be the highlight of her career, although she did have a number of noteworthy responsibilities in the following years. She is particularly proud of her service as a colonel in the U.S. Army Reserves, which led her to join distinguished institutions such as the Brook Army Medical Center in Fort Sam Houston, Texas, and the Wilford Hall Air Force Medical Center at the Lackland Air Force Base in Texas. Ms. Gordon officially retired from the military in 1998, and from health care in 2007. Her final position was head nurse of the allergy and immunology service at the Brook Army Medical Center. When Ms. Gordon wasn’t working, she enjoyed using her expertise to help out in her community. 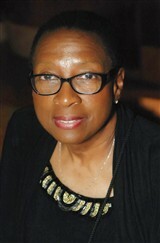 She contributed articles to professional journals, consulted for the Etowah Free Community Clinic, and educated the Cardiovascular Council of Savannah, Ga. Ms. Gordon was also an instructor for the American Red Cross, the coordinator for National Night Out, and a board member for the Volunteer Home Owners Association. She ensured that she remained connected to her industry and her peers by maintaining affiliation with the Orthopaedic Nurses Association, Sigma Theta Tau, the Officers Wives Club, and the Retired Army Nurse Corps Association. In recognition of her hard work, dedication and passion, Ms. Gordon was named one of the Outstanding Young Women in America in 1979 and 1983. Further, she was honored with inclusion in numerous volumes of Who’s Who in America, Who’s Who in American Education, Who’s Who in Medicine and Healthcare, Who’s Who of American Women, Who’s Who in the South and Southwest, and Who’s Who in the World.